CNN’s Talk Asia joins Zhou Xun (pic), one of China’s leading actresses who is on the Forbes list of “powerful Chinese celebrities”, in Shanghai and for the premiere of her new movie Confucius in Hong Kong. The 35-year-old CineAsia “Star of the Year” is in two much-awaited movies out this year – a biopic on philosopher Confucius and Yuen Woo Ping’s action flick True Legend. 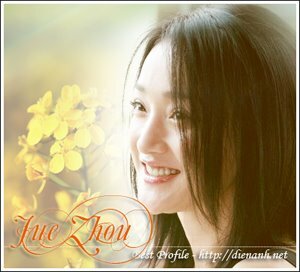 The young Zhou was always interested in singing and dancing, and was once enrolled at a dance academy. She got into acting when a director spotted her at the dance academy. When asked for her take on the Chinese govern­­­­ment’s infamous censorship of the film industry, the veteran of 18 years shrugs off the sensitive subject. Zhou was brought into the spotlight with her roles in Suzhou River, Perhaps Love and The Banquet. She was appointed by the United Nations as its first national goodwill ambassador with a special focus on the environment. “I think the Chinese government is very determined to change environmental conditions in China. This is a not a movie. This is a real threat, ” says Zhou. The actress also discusses with Talk Asia host Anjali Rao her constant efforts to keep her private life private. “This is what I’m trying hard to adjust to because I don’t like being followed when I’m not working. But I can’t do anything about it. So I try not to let it bother me too much.